Representation of enterprises in economic courts belongs to our business profile, too. This focus is being developed based on numerous requests from our regular customers, whom we assist in refunding of their money, or in resolving a controversial issue with a contractor as to fulfillment of a contract, as well as other complicated issues impossible to resolve through the pre-trial process. Unlike other law firms we use non-standard legal schemes, our well-developed litigation tactics and well prepared documents guarantee not only prompt court judgment, but also its real implementation. 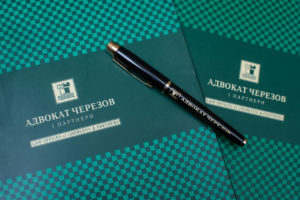 The company Cherezov PA & Partners is well experienced in conducting complicated economic disputes which includes complex economic and other judicial investigations, collection of various debts and losses recovery, successful resolution of disputes on non-execution or improper execution of agreements. Our attorneys have participated and gained positive results for customers in long-term corporate ownership disputes and more. Whatever the case, we always provide free investigation of customer’s issue and suggest possible dispute resolution options and approximate expenses, and then, together with the principal, we make a decision as to possible cooperation. Our loyal customers, some of them are specified in “Our customers recommend us” section, employ services of own lawyers or even legal departments. However, they entrust us with the most complicated cases, understanding that no matter how experienced a lawyer may be, it is impossible to know laws in all fields of economic activity inside out. In addition, an in-house lawyer has to resolve several issues of the current corporate activity at once and it is more reasonable to call on us as specialists in resolving economic and corporate disputes, also we will protect the interests of the customer faster and better, based on the well-established legal schemes and involvement of experts in a specific branch of law. For this reason our loyal customers call on us to resolve complicated economic disputes.